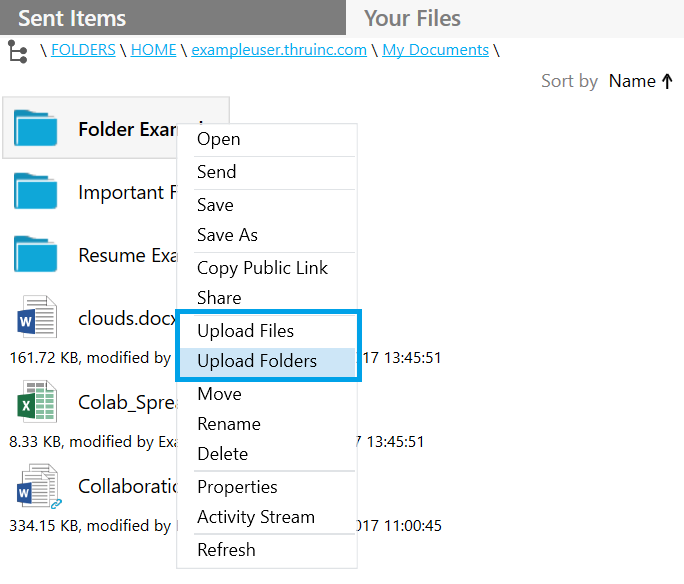 Select the files, folders or emails you want to upload to Thru and drag them to any folder within the Your Files tab. 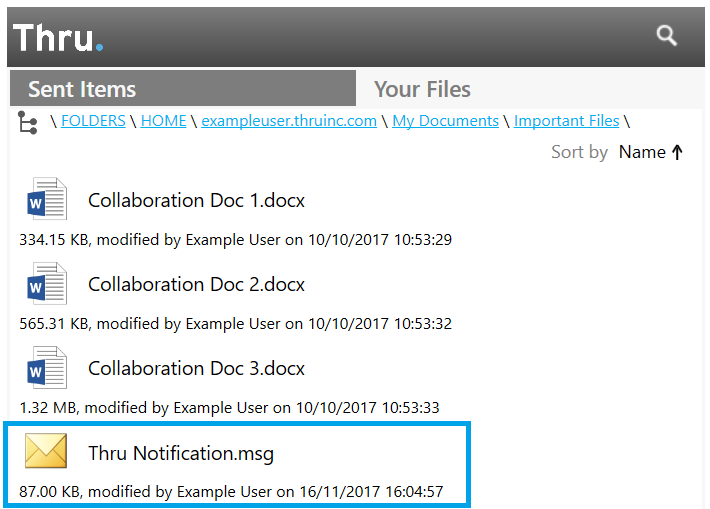 Dragging and dropping content to the side panel will trigger the Thru Transfer Manager to upload the files to the Thru server. Once files are finished transferring, the files will auto-populate in the folder that you dropped them in. Below is an example of dragging and dropping an Outlook email to Thru Side Panel. Note: All Outlook emails added to Thru are automatically saved in the Outlook Message Format. Right-click a folder (or anywhere within a folder) and click either Upload Files or Upload Folders.